Is there a better alternative to Website Blocker? Is Website Blocker really the best app in Security category? 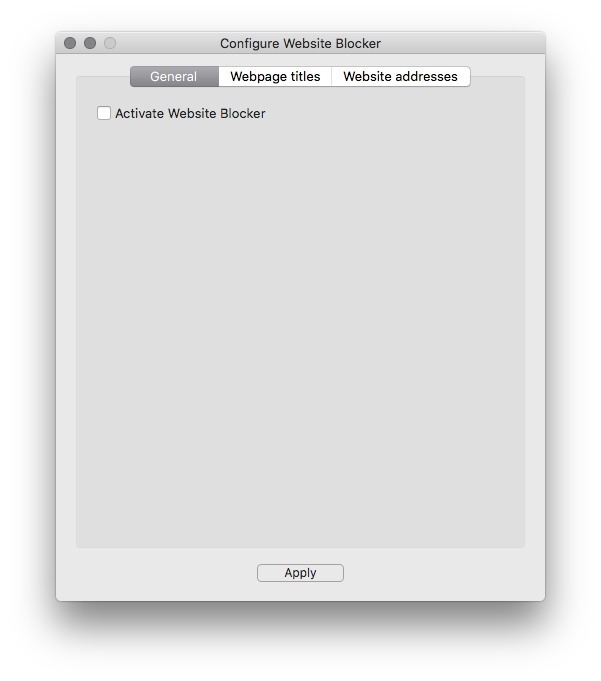 Will Website Blocker work good on macOS 10.13.4? 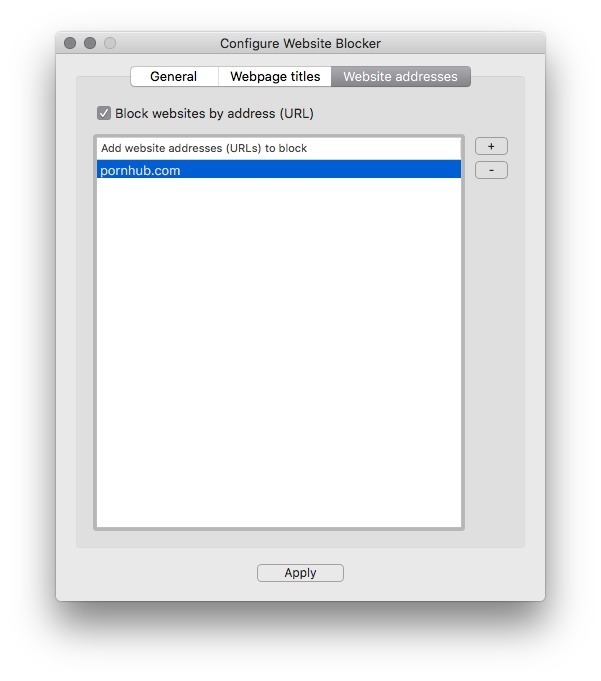 Website Blocker is a free application that will block unwanted websites in all popular web browsers using simple blacklists. You can block websites by URLs or by keywords from webpage title. This website blocker can also be used as parental control software. Website Blocker needs a rating. Be the first to rate this app and get the discussion started!